We know that elements are types of atoms, made up of varying numbers of protons, neutrons, and electrons. Scientists have discovered or made about 120 elements. The periodic table is a little like a cookbook. 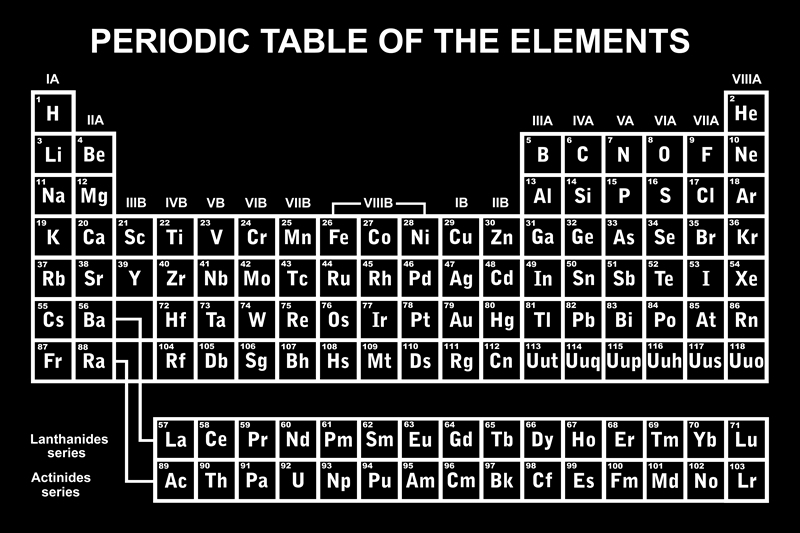 It is a list of all known elements and their composition. The periodic table is a grid with columns that run left to right (horizontal) and columns that run up and down (vertical). The elements are organized in cycles or periods from left to right, based on the number of protons in their nucleus. Elements are also organized in groups, based on their characteristics. The far left column contains alkali metals, for example. Inert noble gases are grouped in another column. Each element has an abbreviation. Some elements, like Hydrogen, which is H, are easy to remember. Others have abbreviations based on Latin names, which make them harder to remember. Gold’s abbreviation is Au, after the Latin word for gold, aurum. Question: Who developed the periodic table? Answer: The periodic table was first proposed in 1869 by Dmitri Mendeleev, a Russian chemist. Question: How do scientists use the periodic table? Answer: Scientists use the periodic table for many purposes. Because similar elements are grouped together, scientists know how they might react when mixed with other elements in a lab. Declan, Tobin. " Periodic Table Facts for Kids ." Easy Science for Kids, Apr 2019. Web. 21 Apr 2019. < https://easyscienceforkids.com/periodic-table/ >.